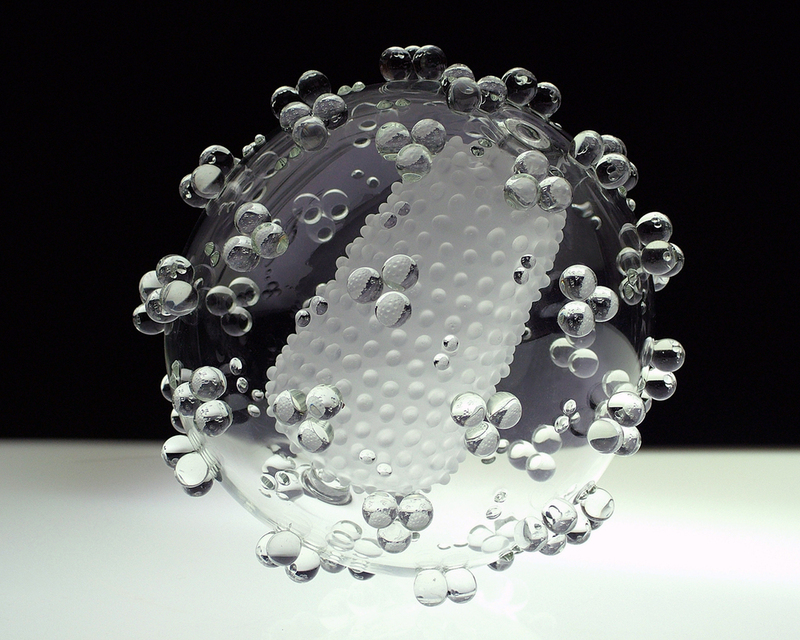 Luke Jerram is an internationally respected multidisciplinary artist, whose practice mines scientific research, ecology, and community building and results in works ranging from discreet objects to large-scale public performances and installations. 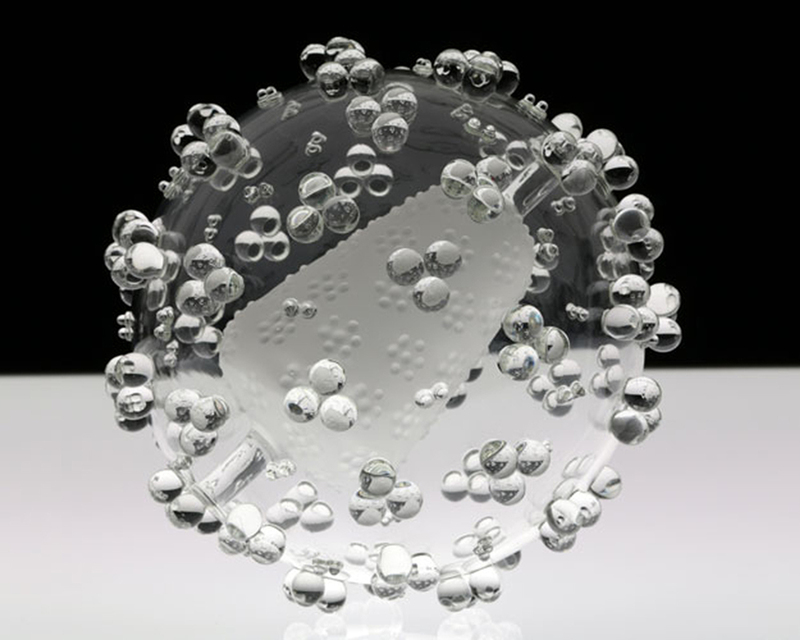 Jerram teamed up with virologists and scientific glass-makers to create small & elegant models of deadly viruses and bacteria, which are part of his Glass Microbiology series. His Chandeliers are built of solar radiometers - simple science class props made to teach us how light and heat are converted into energy. A formal arrangement of hundreds of light-activated radiometers transforms them into anthropomorphic sculptures, which follow the same circadian rhythms we do. Jerram is the recipient of numerous awards and grants and his extraordinary projects have won acclaim in cities around the world. 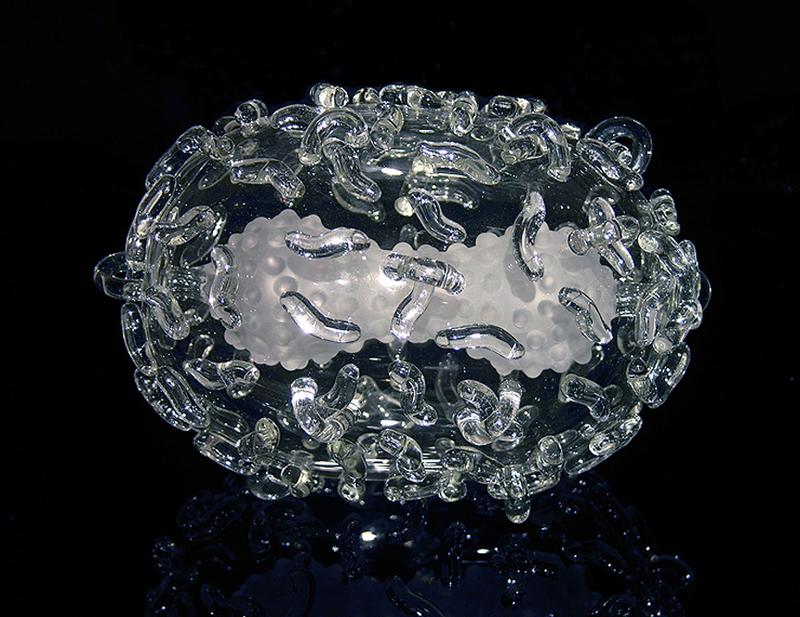 His work is held in public collections in the United States and Europe including the Metropolitan Museum of Art, New York, NY; Chrysler Museum of Art, Norfolk, VA; Corning Museum of Glass, Corning, NY; Alexander Tutsek Foundation, Germany; The Wellcome Collection, England; CosmoCaixa, Spain; Bristol City Museum, England; Phaeno Science Center, Germany; and Shanghai Museum of Glass, China.